Problem-based learning (PBL) is an authentic, experiential form of learning centered around the collaborative investigation and resolution of messy, real-world problems. In PBL, students are presented with a problematic situation and assume a role of stakeholder in the situation. As both a curriculum organizer and instructional strategy, PBL fosters active learning, supports knowledge construction, integrates disciplines, and naturally combines school learning with real life. In this book, Torp and Sage offer opportunities to learn about PBL from the perspectives of teachers, students, parents, administrators, and curriculum developers. Readers gain a holistic sense of the problem-solving process through actual examples from PBL units at primary, elementary, and secondary grade levels. 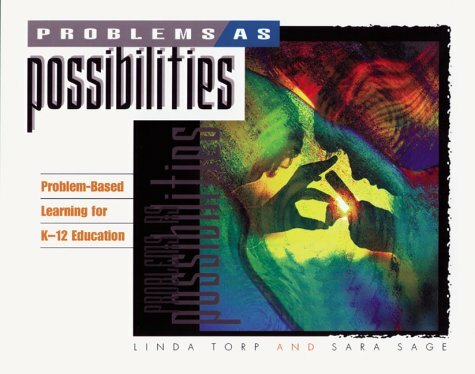 Problems as Possibilities: Problem-Based Learning for K-12 Education is an extension of the authors' work at the Illinois Mathematics and Science Academy's Center for Problem-Based Learning, where the principles of PBL are investigated and applied in school settings. Walker bookstore/Charter Textbooks (www.chartertextbooks.com) is a family-owned business which developed out of a love for literature and good reading material. We started by selling outdoor leadership books and Christian books and CD's and continue to expand, selling a variety of fun and inspiring titles everyone could enjoy.